They served their country. Now Cleveland State University is serving veterans by helping them transition from the military to civilian life and college student. In January, CSU’s nationally acclaimed Veteran Student Success Program (VSSP) moved from cramped quarters in Rhodes Tower West to a highly visible and accessible location on Euclid Avenue. 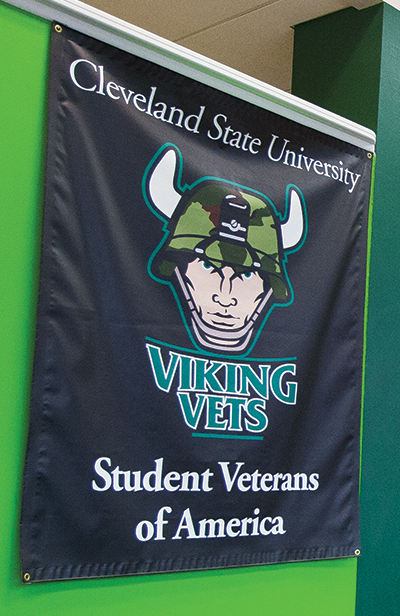 The new CSU Veteran and Military Resource Center enables VSSP to better provide, and expand, a range of support services for Viking Vets and their families. 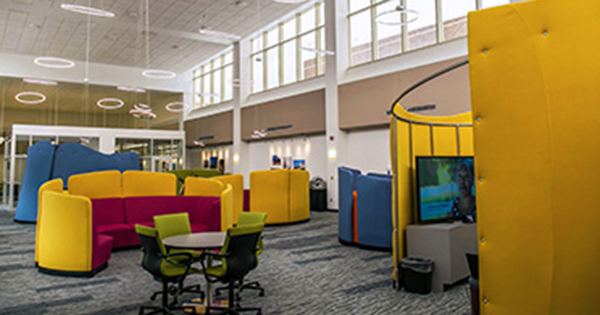 The new, 4,400-square-foot resource center includes a computer-equipped academic area, quiet study areas, meeting rooms, offices, an activity room, a kitchen and a day room/lounge. 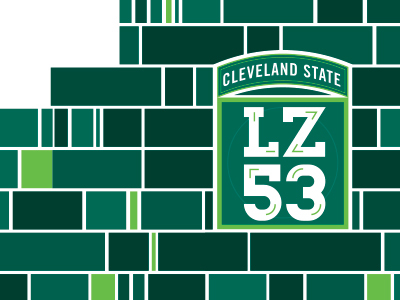 The space has been dubbed LZ53 – LZ for landing zone and 53 in honor of the 53rd College Training Detachment at CSU’s predecessor, Fenn College, where hundreds of U.S. Army Air Force cadets went through intensive preparations during World War II. “LZ53 is more than just space, it’s an opportunity to do more for our vets,” says Robert Shields, VSSP coordinator. Some 600 veterans currently attend CSU. They are active and reserve members of all five branches of the U.S. Armed Forces ­— Air Force, Army, Coast Guard, Marine Corps and Navy, as well as the National Guard. They are a diverse group of undergraduates, graduate students and law students; more than 30 percent are women. Since the start of VSSP in 2007, more than 870 Viking Vets have graduated. VSSP is designed to help veterans through their critical first year of college. Shields and all student employees are veterans themselves. Services include: admissions assistance and counseling; academic advising, including declaring a major; one-on-one academic tutoring from other veterans; mentoring; and counseling for PTSD, stress, anxiety, anger and other issues through CSU resources or referrals to the Veterans Administration. In addition, a VA VetSuccess Counselor is assigned to VSSP to provide immediate assistance on benefits questions and issues. “A mandatory orientation program, conducted by fellow vets, will help them on their new mission – achieving their goal of graduating and moving on to successful careers and lives,” he says.